Oklahoma Lawmakers File Bills To Repeal Criminal Justice Reforms Voters in Oklahoma approved a whole series of initiatives to reclassify drug offenses as misdemeanors. But when Oklahoma's Legislature met Monday, there were several bills filed to repeal the reforms. In November, voters in Oklahoma approved criminal justice reforms such as making possession of drugs a misdemeanor and redirecting state money to treatment programs. Now there are several bills to repeal the reforms. Thirty-three states have passed criminal justice reform in an attempt to reduce prison populations and save money. But although voters in Oklahoma approved ballot initiatives enacting reforms in November, some lawmakers have filed bills to repeal the reforms. 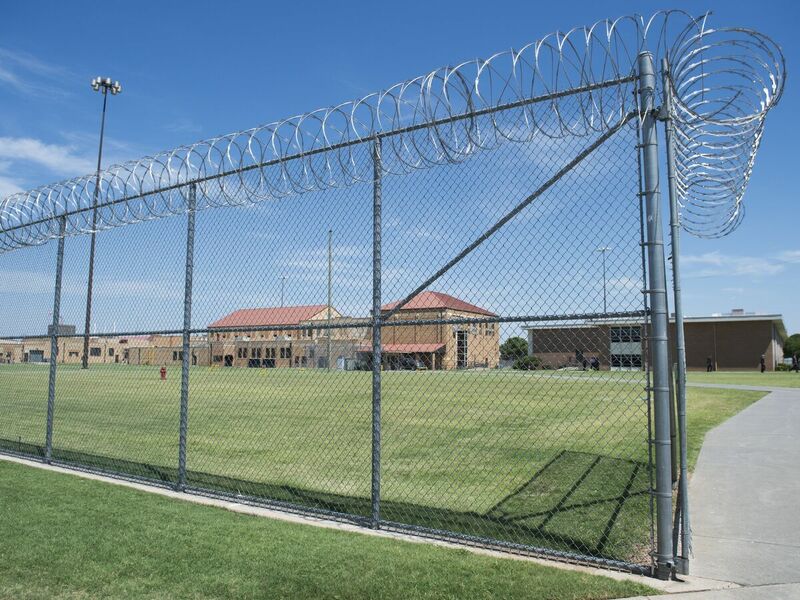 Prisons in Oklahoma are at a 109 percent capacity, creating safety issues and budget problems. There's no money for treatment, and things are so dire, many inmates are sleeping in makeshift spaces like the cafeteria. So private groups like The Education and Employment Ministry, or TEEM, are stepping in with classes to help inmates get jobs when they get out. 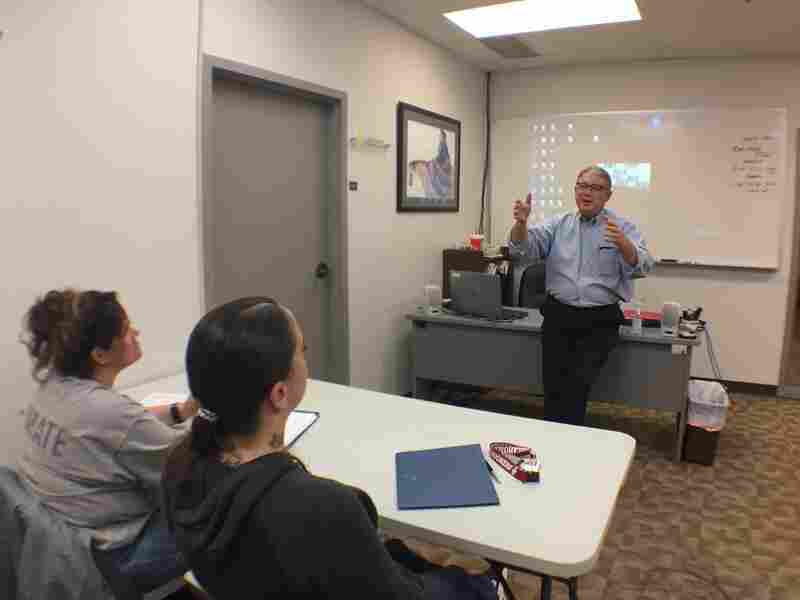 Andy Hall welcomes Oklahoma inmates to workplace transition classes at The Education and Employment Ministry in Oklahoma City. But employment training isn't the only thing TEEM does. Last year, Kris Steele, the executive director, joined with other groups across the political spectrum to address prison population. "This is a conservative issue, certainly from a financial standpoint," Steele said. "It's about making the best use of states' resources; it's about ensuring that you have a positive return on investment." Steele worked on the issue when he was the Republican speaker of the Oklahoma House, but he didn't make much progress there. So he tapped a grass-roots coalition and gathered thousands of signatures to put criminal justice reform on the ballot. It included reforms such as making possession of drugs a misdemeanor and redirecting state money to treatment programs. Voters approved both in November. Yet when Oklahoma's Legislature convened Monday, there were several bills already filed to repeal the reforms voters just passed. "What we're having to do is we're having to scrutinize it after the fact," said Ralph Shortey, a Republican Oklahoma state senator. Shortey voted in favor of the measures based on the 200-word summary that appeared on the ballot. It was only after it passed that calls flooded his office. He thought the Legislature needed to weigh in, so he filed a bill to repeal the reforms. "Unfortunately, it looks like we'll try to get rid of it," he said. "That's not the case. I think that everybody up here is committed to criminal justice reform. I personally believe that we've gone a little too far." Only a few states have rolled back criminal justice reforms. This may affect people like Autrey Luke, who was sentenced to five years for having half a pill of Ecstasy. If Oklahoma decides to follow suit with its voter-approved measures, it would mean 3,000 more people, like Luke, would go to prison in the near future. "I didn't hear about drug court until I got to prison," he said. "And a lot of fellows was asking me, 'Why [didn't they] send you to drug court? Why are you here?' It was crazy." He said he wished he could have gone to drug court to avoid prison. He hasn't gotten any treatment while he's been behind bars. On Monday, he started classes. He wants to earn his forklift certification so he can get another job when he gets out. His fiancé and children, Luke said, are now dependent on state services. He said it wasn't a wise use of taxpayer money to send him to prison.